This is so hot. From the Nov. 29, 1967 issue of The Plainsman. Of course it’s a Mauldin. Selma will henceforward be known on TWER as Shug Town. Love you, Lyn Mosely. For more on the Loveliest of the Plains Sports Spectacular supplement, go here. Previously: Judy Watkins hitches a ride to beat the Tide. Check out in our growing Loveliest of the Plains archives here. 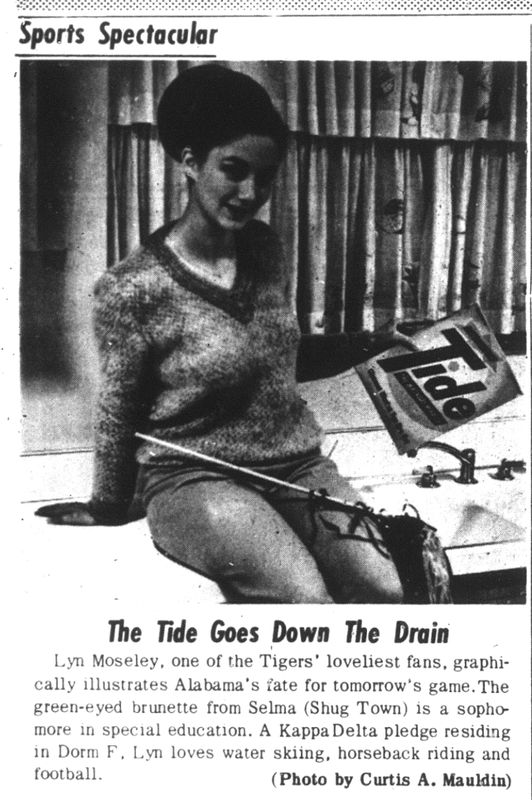 Related: The girl who was in charge of the 1962 Bust Bama pep rally.